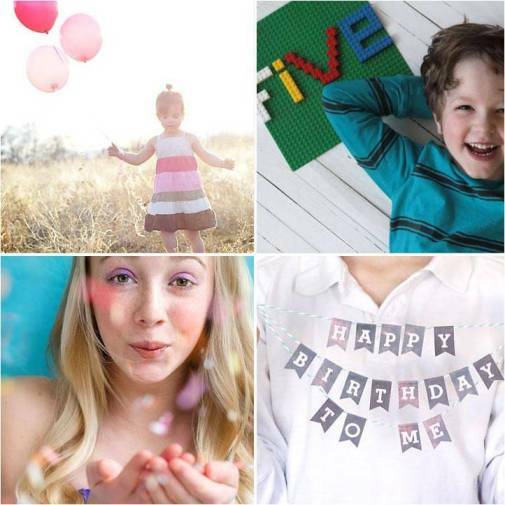 Kids’ birthdays are a great time to make memories – and capturing the moment on camera is the only way to seize the emotion and preserve it for the years to come. Still, terrific pictures take some planning and preparation, so if you want your DIY photography masterpieces to look fit for a magazine cover, you will have to do your share of experimenting and scene setting. Lack the know-how? Despair not – we can help you out with several useful tips on how to create fantastic birthday photos and seize emotional moments to spite the passage of time. Pictures taken in your kitchen or living room are okay, but if you want to add a special note to the birthday photo, you may want to consider a different setting. Have your little one pose in the garden, under a tree or next to a brick wall or wooden fence on the big day: such pictures allow you to add a caption during the editing and include details about your child’s age, height and weight, or drop a note about their favourite foods, colours, games and movie characters at the time. Now, that is a cool birthday picture that will take you back in time every time you look at it! 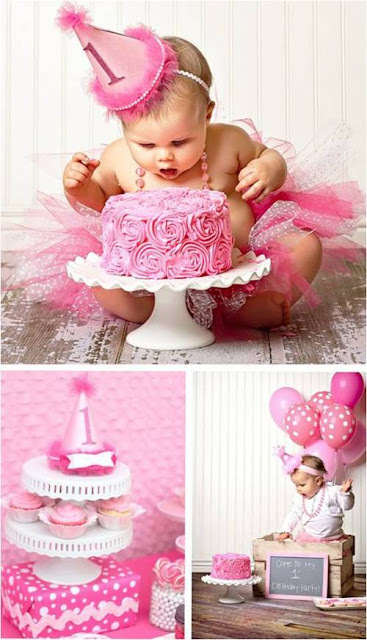 One of the latest birthday photography trends gaining popularity across the globe fast, smash cake images allow you to catch your playful kid on camera red-handed (or at least all smeared with candy). If you are not a lover of conventional birthday pics, letting your child go loose on the cake and making a photographic record thereon will certainly prove an interesting experiment. Do note, however, that smash cake pictures involve a decent cleanup – but that is a small price to pay for the memory of some mean birthday cake trashing, is it not? Opening of the birthday presents is another memorable moment you can capture with your camera. Ask your kid and their guests to pose with gifts for you and continue to shoot the birthday girl’s or boy’s surprise as they go on to unwrap the gifts. The images displaying the joy on your kid’s face as they say Hello to the toy they always wanted to have will make an invaluable reminder of their unblemished emotion caught on film. If none of the suggestion listed above seem inspirational enough, you can always check out birthday images taken by other parents. From cool decorations and birthday venue ideas to lovely tutus and hairdos, moms and dads love to claim the bragging rights about pitch-perfect execution of their little ones’ special day – and an image posted by a parent on the other side of the world can help you get some ideas on both how to organize the birthday and the best camera modes and angles for the shooting. Faced with a dire birthday photo shoot emergency? Take a deep breath, grab your camera and start clicking: after all, the best birthday pictures are a fun experience for the both your model(s) and you as their loving parent and cameraman. Zoe Clark is a proud mom of one baby girl and a miniature schnauzer. When not obsessing about designing perfect homes, Zoe is spending time with her family. You can find her on Twitter.